The Titan 500 is a turnkey solution for caregiving in the home. Those living with disabilities or chronic disease can remain in their own house longer and avoid the nursing home. Family caregivers, with help from home health aides, can transfer their loved one from bed to wheelchair, or other assistive device like a shower chair or bedside commode. The Titan 500 comes complete with a freestanding frame, rechargeable electric motor, spreader bar, remote control and battery charger. 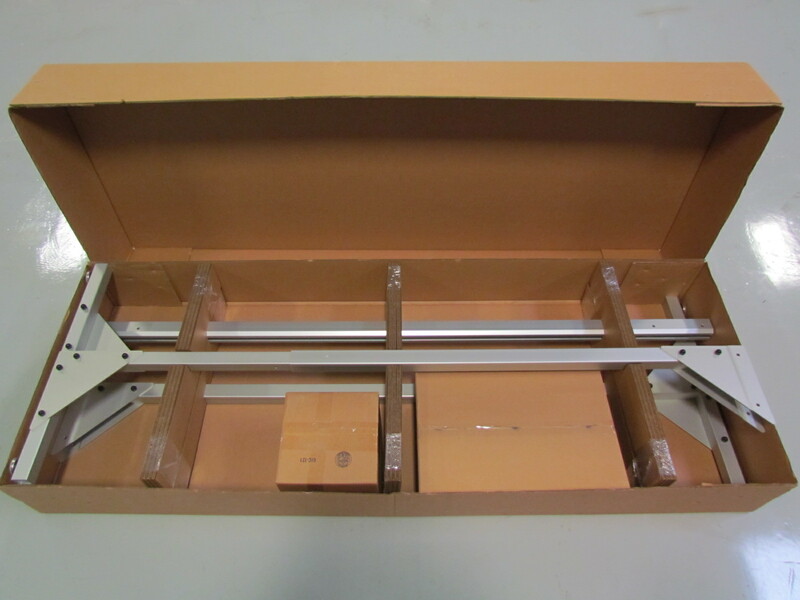 The lift also includes a free universal sling as well as free freight shipping within the continental U.S. The Titan 500 arrives partially assembled and can be fully assembled by two adults in about 30 minutes. 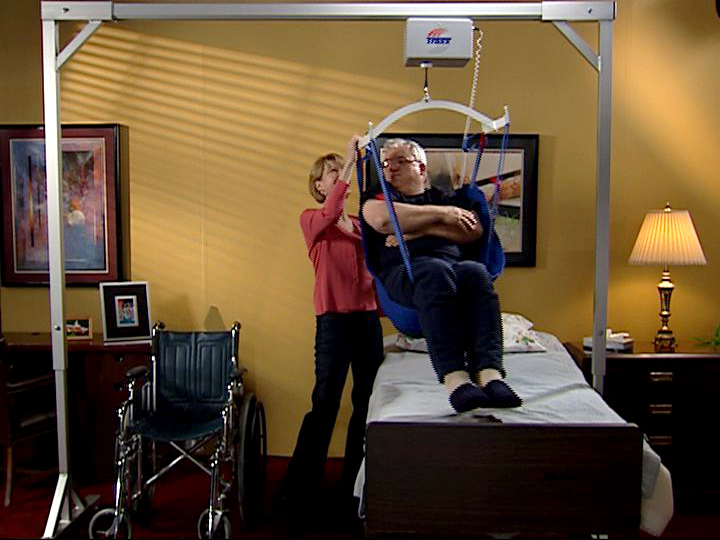 The Titan 500 utilizes an overhead lift technique to transfer patients in the home. 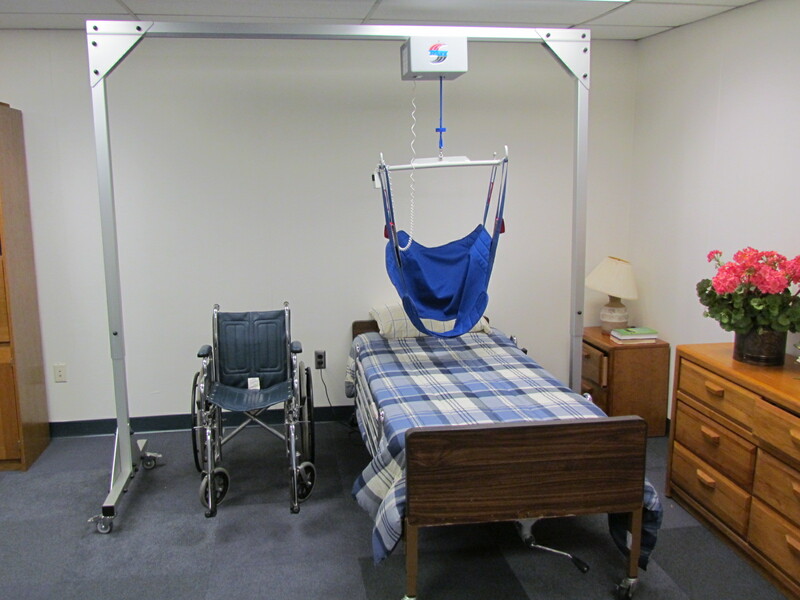 An overhead lift protects both the patient and caregiver from injuries associated with floor-based lifts. Tip overs can leave patients injured while the physical strain of operating these floor-based lifts can prove dangerous to the caregivers wellbeing. 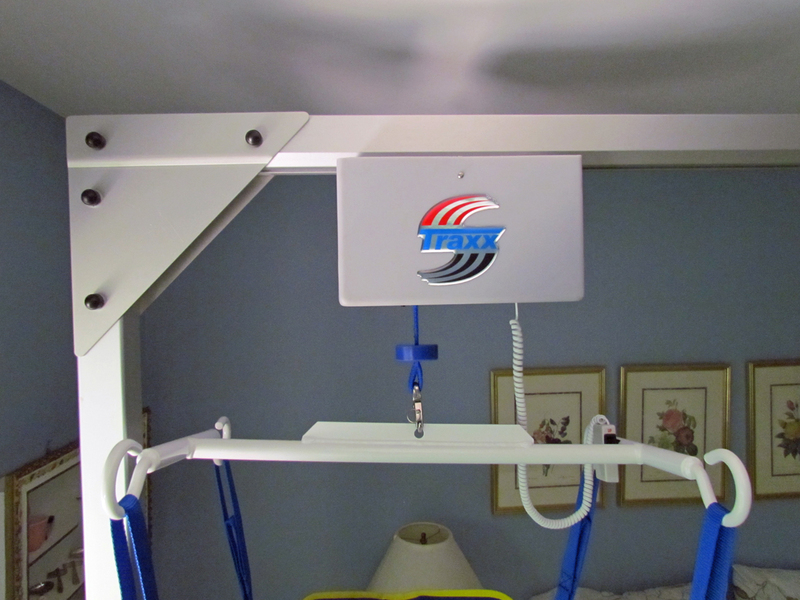 The Titan 500 allows a single caregiver to safely transfer a patient in the home. Some of our customers can even operate their lifts without the help of a home health aide. Our lift is designed to work in the home. Its working height is 88 inches high and fits in the standard bedroom. We offer three different lengths of overhead beam to work with any size bed, from single and hospitals beds up to King size. Our rechargeable electric motor is simple to operate and even easier to maintain. Simply charge the motor overnight once weekly with normal use. The handheld remote control allows the caregiver to lift and lower the patient with ease. The motor gently glides across the overhead beam with little effort by the caregiver. The included four point universal sling is machine washable and comes in four different sizes. 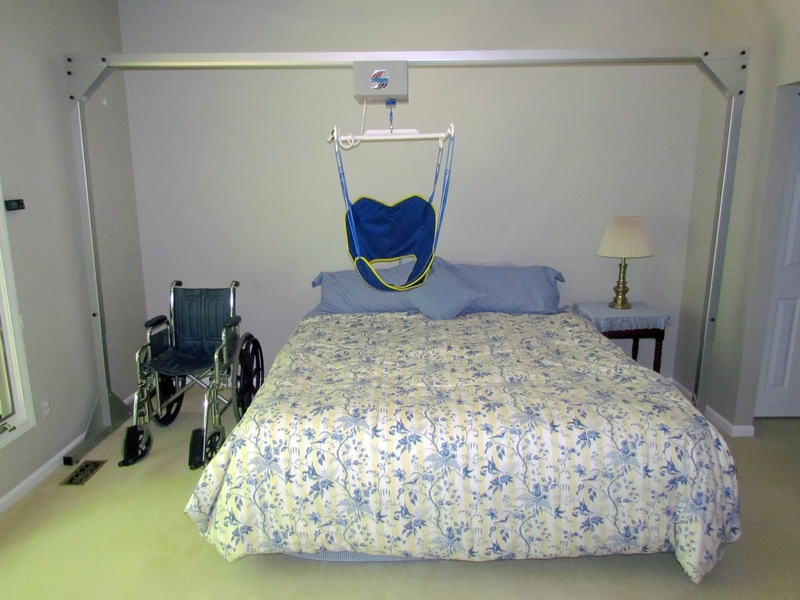 The universal sling can be used for transfers and toileting making it the standard choice for home care. The slings are very easy to apply and remove from the patient when in a wheelchair or other device. They are very supportive and padding around the shoulders and legs help make them more comfortable. Our standard Titan 500 system includes an eight foot long overhead beam and retails for $3695, delivered. We also offer ten foot ($3850) and twelve foot ($3995) systems that work with Queen and King beds respectively. Locking casters can be added to the frame for an additional $200. The standard frame is fitted with furniture glides which will not scratch your floors. For more information, visit our website, find us on Facebook and view our YouTube channel.